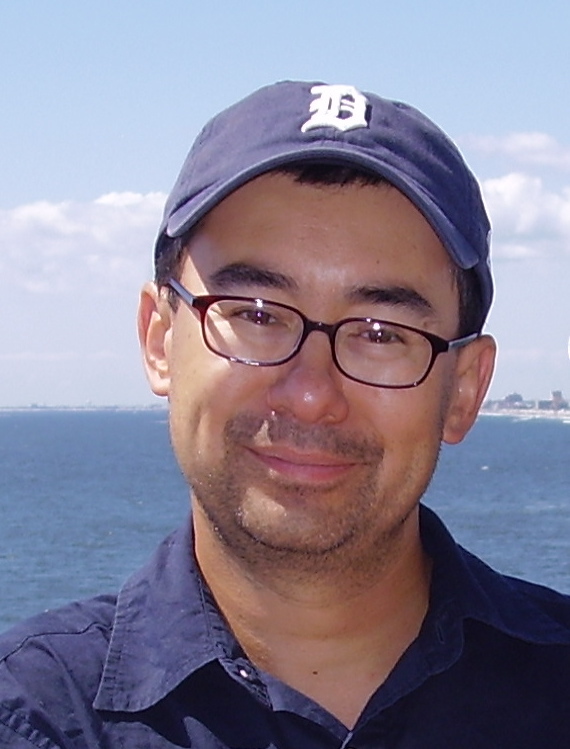 Midwestern Gothic staffer Kelly Nhan talked with author Peter Ho Davies about geographic place and identity, short stories versus novels, his background in physics, and more. Midwestern Gothic: What is your connection to the Midwest? Peter Ho Davies: I’ve lived here since 2000, though of course that doesn’t necessarily qualify me as a Midwesterner. I’ve lived in the US since 1992, after all, and I’m still a British citizen. Still, I do feel an affinity for our region. I grew up in England in an area called the Midlands, which had some of the same fly-over state sense of neglect that folks in the Midwest sometimes feel. Instead of the east and west coasts, we were caught between the south (of London) and the north (of Manchester and Liverpool). The Midlands was also the heart of the auto business in England and since my childhood has faced some of the same economic challenges as Michigan. MG: Your work spans across a staggering variety of geographical locales, historical events, and across time. What is your research process like? PHD: Sporadic and haphazard. There’s a vision of research, in an academic or scientific context, being very methodical, but when I’m working on fiction I usually do just enough research to spur my imagination and then get to writing. When that inspiration runs out, I go back to the research, waiting for something else to stir me. It’s easy to imagine a neat before-and-after process, where a writer does all the research first, then writes the book, but for me it’s much more of a back-and-forth. 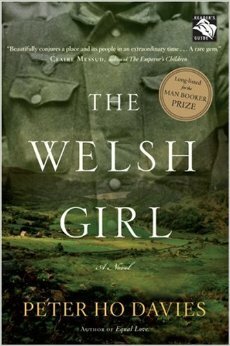 MG: In reviews of your work as a writer, there is always explicit mention about your “Welsh-ness”. Does geographical place, and the culture, dialect, feel, and customs of a geographical place and perhaps its effect on identity, figure as a thematic consideration in your work? PHD: Identity is certainly something I’m interested in, but often its identity vs place. I’m half-Chinese, half-Welsh but I wasn’t born and haven’t lived in either place, and don’t speak either language. The question for me is often how am I Chinese or Welsh, or both, in the absence of those more direct claims. MG: You grew up in Coventry, and have moved across the United States since, including Oregon and Georgia, and now the Midwest. How does the Midwest compare to the other places you have lived? PHD: I’m going to take the fifth on that one! I learned fairly soon after arriving in the US that it was difficult and dangerous to generalize about the US after living in only one part of it (what did I know then, or now, of the South West, say), and I suspect the same goes for a region like the Midwest. I feel I know Ann Arbor pretty well, but our community is hardly representative of Michigan let alone the region. MG: You have a lot of experience as both a short story writer, as in your collection, The Ugliest House in the World, and as a novelist. Which do you prefer writing: novels or short stories? How does the process of preparing and writing look different for each? PHD: I like (and hate) them both. The novel is a freer, more forgiving form, more like life arguably; the story is more confining, but also perhaps more precise, more artful. I’d like to say I prefer the one I’m doing at any given time, but human (and writerly) nature being what it is, I probably prefer whichever one I’m not engaged it at the moment. MG: You majored in physics as an undergraduate. What inspired you to become a writer? PHD: I wrote the first story I published just as I started my physics degree and it pretty much ruined me for science! That said throughout my teens I read almost nothing but SF and that’s what I first aspired to write, so science in some sense fed my fiction writing. MG: As a professor of creative writing, what is one piece of advice you have for new writers? PHD: The great French novelist Flaubert has a line—”Talent is long patience”—which I like to quote to my students. It’s an odd line, and a hard one to hear when you’re a young writer (when I first heard it I felt something had been lost in translation!) Young writers after all—myself included—see talent as a kind of rocket fuel, something that helps us get where we want to go faster, and easier. That kind of impatience is the enemy of good work for many of us though, I suspect. PHD: Trying to finish my current novel, and maybe to write some fiction set in Michigan. Peter Ho Davies is the author of a novel The Welsh Girl, long-listed for the Man Booker Prize, and two story collections The Ugliest House in the World and Equal Love. His work has appeared in Harpers, The Atlantic Monthly, and The Paris Review, among others, and his short fiction has been anthologized in Prize Stories: The O. Henry Awards and Best American Short Stories. In 2003 Granta magazine named him among its “Best of Young British Novelists,” and he was a 2008 recipient of the Pen/Malamud Prize for excellence in the short story. Born in Britain to Welsh and Chinese parents, Davies now lives in the US, and teaches in the MFA Program at the University of Michigan.